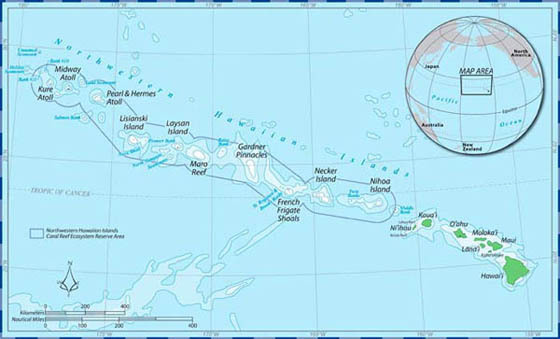 Location The Northwestern Hawaiian Islands Marine Refuge includes the waters extending three miles seaward of any coastline from Nihoa Island to Kure Atoll, excluding Midway Atoll. Prohibited Entry into the refuge is prohibited without a permit. View current permit applications.Fishing or taking of marine life within the refuge is prohibited.Native Hawaiian traditional and customary practices are allowed with a permit.